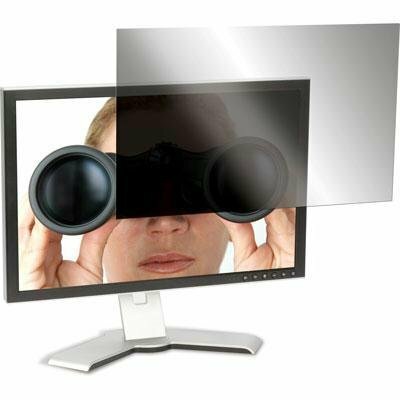 The Targus 20" Privacy Filter is designed to fit 20" widescreen LCD monitors with 16:9 ratio screens. To protect your information, tiny vertical blinds on the surface of the privacy screen narrow the viewing angle so data is only visible directly in front of the monitor up to 45 degrees away from the center of the screen. Onlookers will only see a dark unclear screen when attempting to view the information from a side angle....BTO Sku...... Supplier cannot accept returns for this brand. Please contact manufacturer directly. If you have any questions about this product by Targus, contact us by completing and submitting the form below. If you are looking for a specif part number, please include it with your message.